Swapan Haldar – Grab a cuppa, tell a story or listen to one. At times, life presents strange and mysterious coincidences that often leave you wondering and sometimes leave you with goosebumps. The Rudraksha from Nepal and the lives of people around it is one such story. It was the month of September 2013. India as a country and the state of Bengal in particular was busy celebrating the homecoming of Goddess Durga, the Durga Puja festival. We (my wife and I) were part of a group of 52 people, of different ages visiting Nepal on a trip during that festive season. Nepal is India’s neighboring country and shares common cultures and traditions. It is a small country dotted with many auspicious temples, old wooden palaces of king’s and princes and has breathtaking views of the Himalayas. Indian currency is well accepted in Nepal, making it a favorite vacation destination for many. One morning during the trip, we visited a Vishnu temple where the lord Vishnu was laying on water. n the temple complex I discovered a few “Rudraksha” trees laden with bunches of green fruits and started taking photographs. After a while, my wife, came and told that me that a mysterious looking person offered her a variety of Rudraksha beads at a very modest price. As I am often interested in collecting such local artifacts during our travels, she wanted me to see them. We looked all over the temple but the person selling the Rudraksha beads seemed to have vanished. I eventually bought a string of tiny Rudraksha beads from the hotel counter and forgot about the man selling the beads at the temple. On the very last day I was feeling very disappointed as we missed the beautiful sunrise at Pokhara due to heavy rain. A young software engineer who was traveling with his parents and uncle had managed to see the sunrise. He took my e-mail address and promised to upload all the sunrise pictures on his return to Kolkata. He never emailed me. I reminded him after a month. He then told me that an unknown car had hit his uncle, Mr Sen, in front of his house just after their return to Kolkata. Mr. Sen was also a part of our tour group. The bleeding was so profuse that he struggled for three weeks on a ventilator, but finally succumbed to his injuries. I consoled the young man but something else was waiting for me. After a couple of days, I was traveling by the metro to Presidency University. Someone came and sat down next to me. He said, “Are you Dr Haldar who had gone on the Nepal trip?”. I was caught by surprise by this question. I had no recollection of meeting this young man on the trip and here he was aware of little details from the trip. “They got hit by unknown cars in front of their house in an interval of 3-4 days and expired,” he continued. I mentioned to him that the same thing had happened to Mr Sen also. 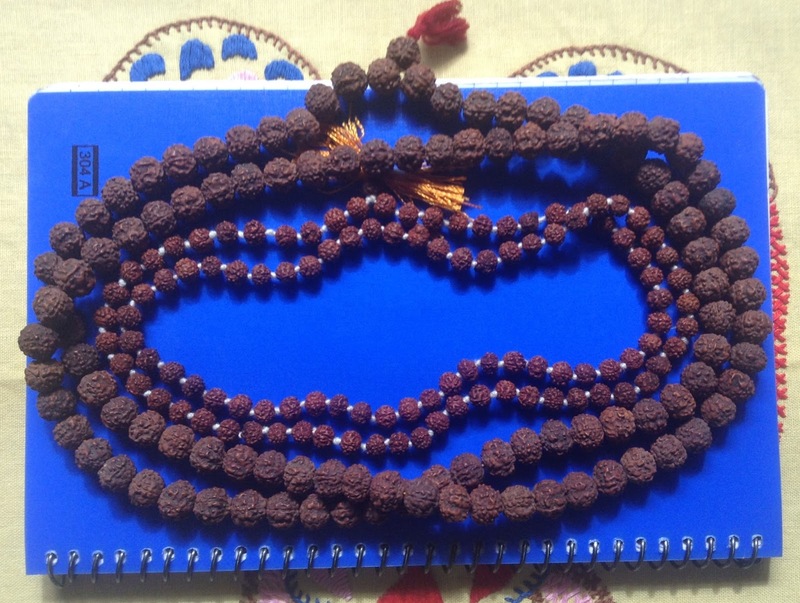 The same Rudraksha that my wife and were not able to buy on that day of the temple visit. The mystery had further deepened. Coincidence or not ? How do you explain that. I will perhaps never know the answer. Authored By : Dr.Swapan Haldar. This is a true incident from his own life. Dr.Haldar is a professor at Presidency University and Calcutta University and author of many books on Mining and Geology. But he is also a passionate story teller and believes in sharing his life experiences. He has his own share of unique experiences. 3 days ago, on 27th July, the beloved 11th president of India, A.P.J. Abdul Kalam passed away. Social media has been awash with condolences. We asked two of our authors, who had the priviledge of meeting him in person, to share their thoughts with us. It was 2002, Dr Avul Pakir Jainulabdeen Abdul Kalam was visiting and addressing school children in remote areas and city schools in all corners of the country. As part of that, he also came to Udaipur. He has a busy schedule the whole day with the local school children. He wanted to address the citizens of Udaipur at the end of the day. The talk was schedule to start at 6 in the evening in the auditorium of Udaipur Medical College and I was fortunate to be an invitee. I reached the venue at 5 PM as is my nature and being the first person in the audience, I sat right in the front row. Soon people started coming in and taking their seats. Around 5:40 pm, there was some commotion at the entry door and I saw the great noble soul appear. He looked at clock on the wall, picked up an ordinary chair and sat in front of me. I wished him, he reciprocated and extended his hand. He proposed the people should ask him questions till the official program began. He was a good listener. The chairman of the occasion was yet to reach the venue. At exact 6 PM he stopped the discussion, went to the podium, took the microphone and started addressing the audience. He was a good story teller and I remember one such story he told. He was invited by his doctor friend for diner at their house in Tamil Nadu. Both the doctor and his wife were medical professionals and wanted their only daughter to go to medical school. But the daughter wanted to study physics. Their only request to Dr Kalam was to convince their daughter to join the noble medical course. Dr Kalam had a discussion with the girl for almost an hour and listened to her quietly. She was very sincere and focused. She wanted to study physics because her ultimate goal was to be a missile scientist. Dr Kalam came out of the room and told the parents that he will either join the diner and pay for it or else he will skip the diner as he could not convince the young student. He was very clear that the parents may guide their child but the student should opt to follow the career he/she likes best. By that time the chairman of the ceremony reached the venue, extend his sincere apologies for not being on time and requested him to visit Udaipur at the end of the year to receive the “Moharana Mewar Annua Award”.He came to Udaipur again for receiving the award and I was fortunate to see him again. Today I remember how I was privileged to meet President Dr Abdul Kalam to present my dream of a Therapeutic Biomolecule Centre for India (similar to that in the UK at Oxford ) to develop lead molecules- monoclonal antibodies and peptides -, as targeted therapy missiles- for treating cancers and infections at affordable prices without exorbitantly priced imports… He was gracious, affectionate, and immediately suggested an action plan linking INMAS and a prominent biotechnology corporation. That was just a few months before his Presidential term finished, and I still hope to achieve this, and I am sure that had he continued for a second term, this dream would already have seen fruition! My homage to this great but disarmingly humble son of India. How many of us are motivated by nature’s innocence and yearn to return to those days of simplicity. But when we retrace those steps, worlds have changed. Swapan Haldar wonders. When I was a post-graduate student at Calcutta University in the 1960’s, I did my thesis on chromite deposits of Orissa, India. Mining for chromite had just started in the country. The chromite belt was located in a valley between the Mahagiri and Daitari hill ranges. I was put up in a small hutment inside the boundary of the mine campus. The area was a dense forest populated by wild animals and a few tribal villages. I used to do geological studies in the forest from early morning to late noon. After sunset no one was allowed to step outside the mine’s fenced area. No one would open the hutment door at night. Elephants used to come to the villages for food and would destroy the banana plants. We used to witness bear families fading away into the forest. Once I experienced the smell of a tiger and left-over food in a small cave. Lateritic –nickel was discovered in the area by the Geological Survey of India while I was there. My three months of field work in the midst of a dense forest and being in nature fascinated me forever. Back at the University, my thesis was highly acclaimed. Thereafter, I joined metal mining corporate companies (copper-zinc-lead). 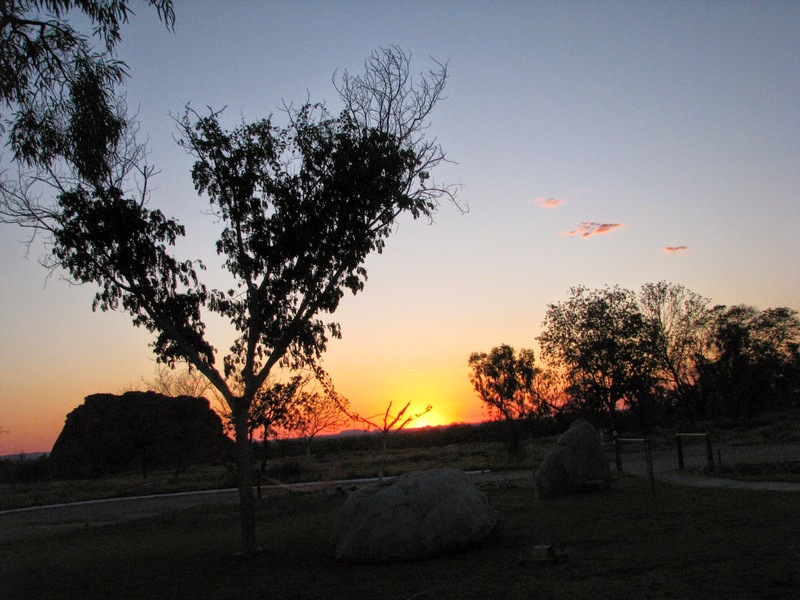 But I could never forget that short stay in a remote mine campus with inadequate facilities and very little modern comforts. I promised myself that I would return to the platinum-nickel-chromite industry at an opportune phase to share my knowledge with students and fellow professionals. This first experience made a permanent and passionate impact on me, to love nature, to learn the process of the Universe and to understand how the mystic mother Earth hosts minerals and metals from core to crust for the benefit of birds, animals and human beings. The urge made Swapna, my wife and me to explore different parts of the World. We have seen the majestic snow-capped Himalaya Mountains from different places, seasons, angles and altitudes. We had been to glacier capped summit of Jungfrau, one of the main peaks of the Bernese Alps. The view of the granite monolith (“Half Dome”), Yosemite National Park, East of California and a part of Sierra Nevada Mountain Range is a sight to behold to geologists and other scientists. The scenic beauty of Grand Canyon, Arizona State, with its changing colors from early morning to late evening explains the sedimentary process of formation. 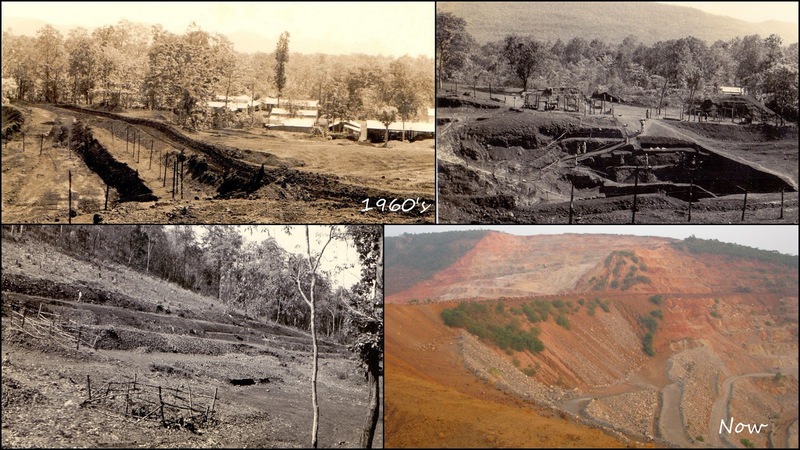 When I first visited Sukinda Chromite belt in 1964, it was a sleeping hamlet and gifted by nature’s love with dense forests, mineral wealth and peaceful tribal people. There were three small mine entities separated by kilometers and supported by less than 100 employees. I visited recently to update my knowledge about the present chromium-nickel resources in the World. I was confirmed that platinum does exist. But what I saw saddened me. There are more than 25 surface and underground working mines separated by common boundaries. The forests have vanished. The majestic Mahagiri range reduces greatly by bulldozing. Series of newly born hills appear parallel to Mahagiri range due to mine waste dumping. Nonmetal roads take care of more than one thousand trucks daily for transporting ore to distant ferrochrome factories. The sky is gloomy throughout the day due to the mine dust. Social evils, crime, alcoholism and drug addiction, and other such abuses have increased. This is the other side of the coin. We have to address and balance between good and evil through proper self protective education, counseling and training. Making stringent rules is not the solution- it has to be implemented in the right spirit. Otherwise what will we leave for our future generations? Foreword By Piya Mukherjee: Whenever we receive a new story from Swapan Haldar, we know that there will be a valuable life lesson embedded in it. His journey of life has been so enriching that his stories are like gems coming out of a treasure box. I must mention that prior to writing for Chatoveracuppa, he has only written technical books. When we embarked upon our journey of storytelling, the story teller in him became prominent. This story like all his other stories has a climax that will say and mean something to everybody. If you have ever wondered how people who are in their sunset age are still so active, hardworking, modest and humble, this story is going to resonate with your thoughts. It was a short journey from Broken Hill to Cobar zinc mine in New South Wales, Australia. The nine seater craft took about 30 minutes. The airport was very small and was looked after by a single staff member. He attended to the single flight in a day and otherwise the airport looked deserted. The passengers carried their own luggage from the craft. A cab took me to the hotel from the airport. The hotel was expensive. My daily allowance for a long stay in Sydney was meager. I could not afford to have lunch in the hotel. It was 1 PM and I was hungry. I saw a lean and thin person, little bent due to his age, probably in his early seventies. He was coloring the outside wall of the hotel. I approached him to enquire about any nearby eating places. He offered to drop me to a close by place on his way back home. The vehicle was full with various containers, brushes and other tools that a carpenter and painter uses. It was not comfortable to sit in the back seat of his vehicle. I saw him working next three days on my way back from my work. I felt sorry for him for all the hard work he was doing at his age. On the last day of my visit, I was waiting for a cab to take me to the airport. I wanted to thank him. I told him very politely, “This country provides social security for the aged and the unemployed. Sir, would you be kind enough to tell me why you work so hard and how much you do earn for this hard work?” He listened and said, “It is OK.” I repeated the question and the reply was, “Just OK”. After some time, I asked him again, “We will never meet again and after returning to my country I want to compare the earning of a painter in my country for this work”. He understood me and smiled. He took me to the hotel reception. There was a big painting on the wall of a twin seated craft flying in the blue sky. He asked me if I could guess who built the craft. After a pause, he said that he had assembled it when he was young and used to fly it from Sydney to this place for adventure. He continued that he was the owner of the hotel. “Then why?” I exclaimed. “I earn for my daily bread. I have a room to rest here. I have a house to stay with my family. The manager and other staff look after my properties. This is my learning from life”. I wanted to touch his feet*; I could not, So I said ‘Be happy my friend and Good Bye. I will carry your message throughout my life’. I have been telling this incident to every batch of my postgraduate students for the last decade. I tell them, “Keep your eyes, ears and mind open, you will learn many valuable lessons in your own life”. * Touching other’s feet is considered as a method to show respect, convey regards and gratitude in the Indian culture. Authored By : Dr.Swapan Haldar. This is a true incident from his own life. Dr.Haldar a professor at Presidency University and Calcutta University and author of many books on Mining and Geology. He is also a passionate story teller and believes in sharing his life experiences. We are honored to have him as one of our regular storytellers. 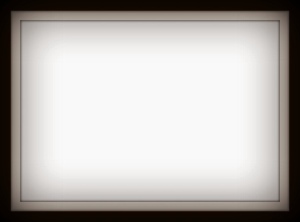 The author of the story requested for a blank photo-frame to go with the picture. Foreword By Soumi Haldar : Throughout the week we have heard stories that poured an overwhelming amount of emotions from Dads. Quite unexpectedly, my own father shared a personal memoir with us that took me unawares. Father’s Day held a different meaning for him than what I had always thought it did. I never knew or heard of the phrase “Father’s Day” till I reached the age of 55. By that time my daughter was out of the university and had embarked on her professional career. Since that time, she, and later my son-in-law wish me “Happy Father’s Day” on a particular day of the year. I often wondered what the theme behind this “aspiration” is. Because in my perception, my memory, my nearness and attachment with my “father and the word” is a blank slate. In my life span only one day and one particular incidence about my father faintly peeps in my mind. I spent my childhood with my grandmother in a remote village, few kilometers away from the new residing place of my parents, brothers and sisters. My father was a doctor. He had got his medical degree from Calcutta Medical Collage in those days. He was a successfully practicing doctor and I heard later that he was not in the best of health. I was told that the day I was born he treated a patient and received Rs 900 in a single day. Unbelievable in those days but it is true and it happened. I was studying in the local “patshala” (village school) with all children of the village under a single thatched roof. I was seven or eight years old. I used to love swimming in the ponds and small rivers, playing with the children, plucking fruits from the orchards, acting out small plays in the evening. Grandma used to tell stories from Ramayana and Mahabharata at bedtime and I used to slip into deep sleep with lot of dreams. One early morning grandma woke me up and told me not to attend school. She had got a message that we had to visit my parents. We walked a long way on narrow paths between the paddy fields. We reached by noon. I saw that a body was lying on the floor covered with a white cloth. All the family members and relatives were sitting around the body and crying. I also sat without any realization of the situation. The only photographer of the area came and took a picture. The faded picture is still hanging in the house and none of the people in it are recognizable. That is the only photograph of me with my father. Soon the elderly people left for cremation leaving us the youngsters. That is the only memory of me with my father. Time passes in its own way. The Father’s Day comes every year. I remember him and wish that “his great eternal, all-pervading, stable, immovable and primeval soul may rests in peace in the eternity of God”. I believe that I am fortunate to have lived in his presence even if for little time. “Happy Father’s Day”. There is a power supreme than all of us. This is a belief that we all have instilled in us regardless of where we are located on the map or what our religious belief are. It is that larger than life power. Supreme. Divine. Magical. Ask someone who has had a close shave with life and they all will talk about that power like our story teller does today. It was July of 2005. I had moved back to my home town after three and half decades. I was trying to settle in the new and changed environment. One evening I was returning from the local market. An abrupt electrical blackout occurred and it was pitch dark everywhere. I started walking by the road side like a blind person. Suddenly I lost my balance and in a fraction of a second I spread both my hands wide. It took some time to realize that my lower half of the body was hanging inside an uncovered pothole. 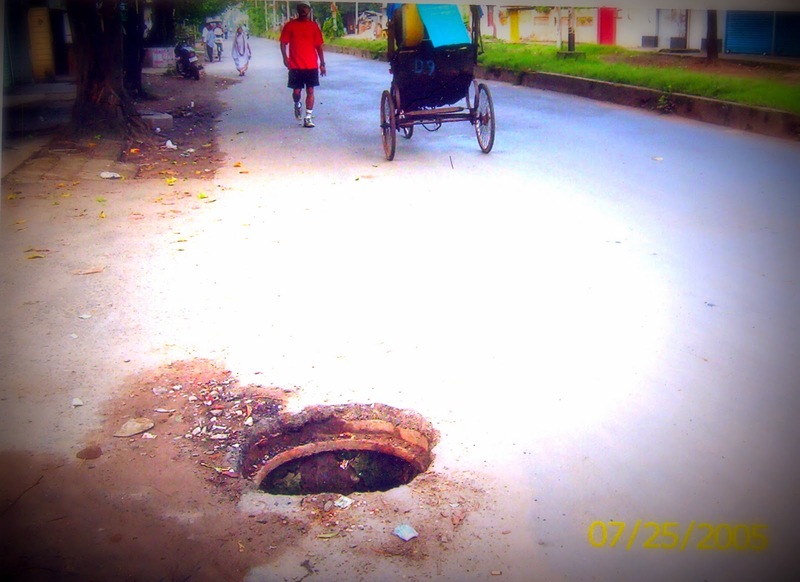 I had no strength to come out of the manhole as I was bleeding and my legs were hurting. Very soon some young boys came running and lifted me out of the death trap. I took photographs after I fully recovered from my injuries. I had no explanation of how I was saved or what power saved me that day. I dedicated my rebirth to my parents for their divine blessings. Otherwise, I would have not been here to share the story with you. Authored By : Dr.Swapan Haldar. This is a true incident from his own life. Dr.Haldar a professor at Presidency University and Calcutta University and author of many books on Mining and Geology. He is also a passionate story teller and believes in sharing his life experiences. 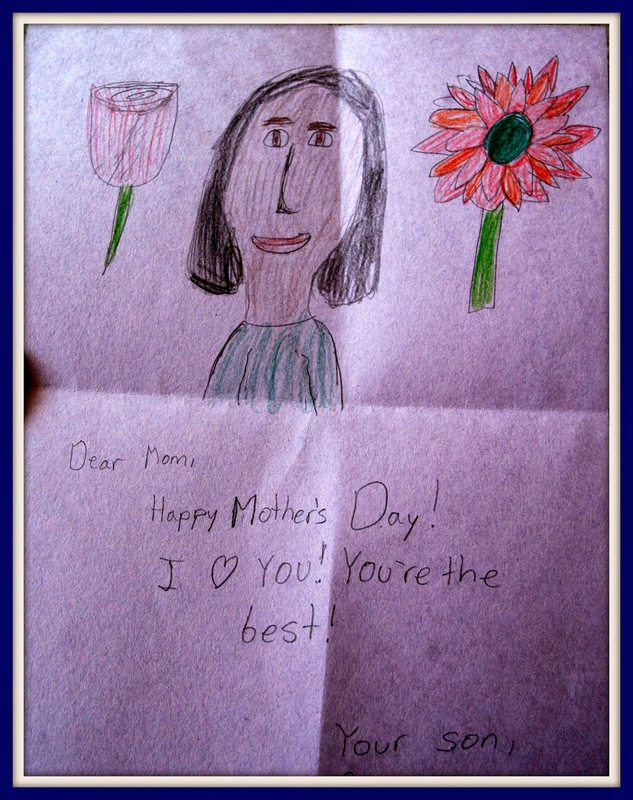 Earlier this week we asked everyone to state a phrase that defined motherhood or their own mother. One of our regular readers and very active contributor, Swapan Haldar told us a single word or a phrase was inadequate to describe feelings for mother. He wrote an anecdote for us instead. An anecdote that is a testimony of a son’s fondness and respect for all that his mother did and meant for him. I was born in the early 1940’s, in a large middle class family in India. It was a remote village, some sixty kilometers from the main city. After completing my Post Graduate studies, I joined an American oil company whose office was in the main city. As it was a contract job for one year, I preferred stay at home and attend office by commuting daily by the local trains. I remember my mother waking me up at 5 in the morning so that I could get ready in time to catch the 6:45am train. She cooked fresh food early morning, every day, irrespective of the weather, hot summers, heavy rains or extreme cold winters. I was happy. I completed one year under the happy, caring and affectionate touch of my mother. My contract job had come to an end and it was the last day at my job. She was away from home due to some family emergency on the last day of my work. I woke up as usual and got ready for the train. But nobody offered me anything. At last my younger sister, a school student then, appeared with a glass of milk. Absence of my mother for a single day caused me great pain in my heart. Then I left home for a job in a mining company a few thousand kilometers away. I used to visit her at least twice a year. But after she passed away, I lost my bond with my childhood home. I completely lost my attachment with my roots. I remember her whenever I am alone. I think of her sacrifices she did to raise the young children under extreme distress. I realize that whatever I am today is due to the blessings of my divine mother. I owe everything to her. I am so fortunate. After completing a long professional career of over four decades in a multinational industry, I returned to my home town and own University as an Emeritus faculty member to teach post graduate studies to boys and girls on the subject of my specialization. 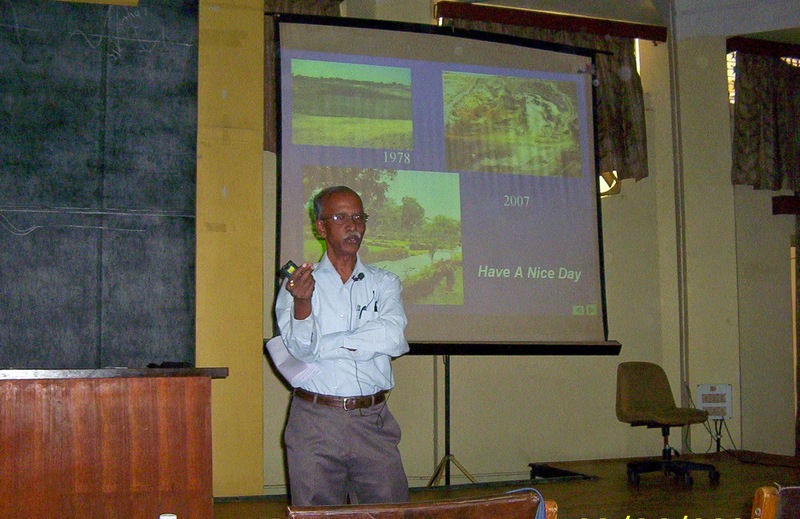 I often used to deliver popular industry based lectures to students and faculties of various Universities and Engineering colleges during my professional tenure. I contemplated that classroom teaching on a programmed course would be equally easy. 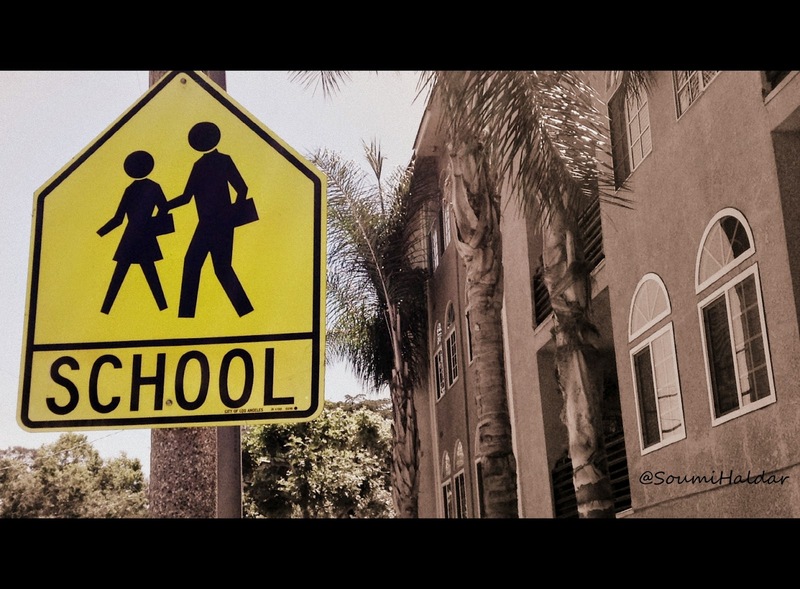 But I soon realized that regular classroom teaching and popular guest lectures are extremely different. In a classroom I have to address 20-30 young boys and girls, ages between 19 and 21. Every word I deliver, every sentence I complete, my eye and body language are keenly observed by 40 to 60 curious eyes. Any slip in any area you invite uncomfortable state of affairs. It took me a couple of years in becoming comfortable in my new role. I usually like to share my long experience with my students and tell them to be regular in class, attentive and participative so that they can learn well and perform their best in the examination. But during this process I come across a unique, un-con vincible and surprising student. I noticed that this particular student was not attending a single theory and practical class throughout the session. I learnt that the student was working as a primary school teacher in his remote village. But he kept contact with his class mates and probably know what was being taught. He also managed to appear in the post graduate final year exams and to my complete surprise he scored the highest marks in both theory and practical. The next surprise occurred when he topped the selection list in the campus interviews. He came to me thereafter as a mark of respect and to take my advice. His passion was to teach primary class students in his remote village just like his father, uncle and brother. He had to decide between his passion and taking up a job with a MNC. He made his decision. He has changed two multinational companies by now, has kept frequent contact with me to share his achievement, happiness and sorrow. May God bless all my students and make them stay in the right path to give them happiness in life. We think the author’s advise to his student was not about achieving the materialistic things in life. It is about seeking the bigger things in life, things that give you prosperity, happiness and content. The bigger things also create a gateway to support all the passions and dreams in life. This story has been provided by Dr. Swapan Haldar, a professor at Presidency University and Calcutta University and author of many books on Mining and Geology. He is also a passionate story teller and believes in sharing his life experiences. We are honored that he shared this story with us. An important life lesson for all of us, to implement in our life and to teach our children.